Nigeria is blessed with so much talent and being a DJ is one of them. This post will intimate you on the hottest DJs in Nigeria currently and explain what makes them tick in the Nigerian entertainment industry today. These DJs are also influential as they have set the pace for others to follow in Nigeria today. One cannot talk about being a DJ in Nigeria today without using DJ Jimmy Jatt as the reference point. In a profession many thought as unserious in the years gone by, Cool DJ Jimmy Jatt stuck to it and today, he is the godfather in the business. 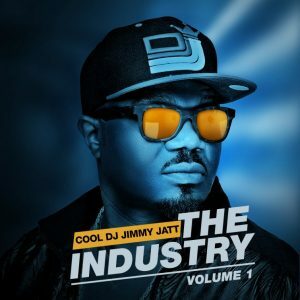 DJ Jimmy Jatt is the most famous DJ in the land and he is based in Lagos, Nigeria. DJ Jimmy Jatt’s real name is Jimmy Amu. He has an album titled “The Industry Vol. 1″. Ifeoluwa Ibrahim Ozimah, popularly known as DJ Kentalky is a fast rising DJ in Nigeria’s music industry today. DJ Kentalky is an in-house DJ at Naija FM. His career began 2001 and he was part of the MTV Guinness Extra Smooth Train to Abuja and Benin. His excellent skills have also given him the opportunity to work with international disc jockey, Mannie. DJ Humility is a beauty on the wheels of steel. He probably is up there with Jimmy Jatt if you consider that his presence in the business is long and successful. His real name is Benedict Afagwu. DJ Humility entered the spotlight in Nigeria when he clinched the first position at the Benson & Hedges DJ Championship in the early 2000s. About the same time, he was voted as Nigeria’s best radio DJ at the Gbedu Awards; in 2003, he won an award at the Fanta Fame Awards . He has also performed at some of the biggest concerts in Africa. DJ Humility is currently a radio DJ. DJ Spinall is a fast rising Nigerian DJ. Presently, he is the official DJ to Wande Coal, Beat 97.9 FM Ibadan and the weekly Industry Nite. DJ Spinall is known by the trade name, “the Cap” or “Unstoppable Dj Spinall” due to his fast rise in the business. DJ Neptune is one of the best DJs in the Nigerian music industry today. His real name is Imohiosen Patrick. DJ Neptune hails from Edo State, but he was born and brought up in Lagos State. DJ Neptune started out as radio DJ and once worked with Ray Power FM before becoming a freelance DJ and performing at international and national concerts. DJ Neptune has been been nominated for several awards which includes Best World DJ at the 2008 ‘NEA’ Nigeria Entertainment Awards in New York, U.S.A. He won Best World DJ at the 2009 ‘NEA’ Nigeria Entertainment Awards in D.C, U.S.A. Tush Award Best DJ in Nigeria, 2010; International Best DJ at the first “AEA” Africa Entertainment Awards in Malaysia. There you have it, the best DJs in Nigeria currently. Nigerians who is your personal best? Have your say in the comments section.